Hot on the heels of May the Fourth (force) is an Audi commercial that just might win awards. I have to pay tribute to the creative minds that dream up these amazing scenes. Who would have thought that you could "star" Leonard Nimoy and Zachary Quinto in a car commercial that included a rendition of the Ballad of Bilbo Baggins. And here is a link to some awesome comments worth reading. They're at the bottom of the video, but on this site not YouTube. Sorry, if I didn't have my 1998 Honda Civic, which incidentally has just lost its chrome logo - maybe getting a little old too - I would be tempted to replace it with an Audi based on this commercial. If I had the money, that is. Alas, I'm a sucker for a good ad - believe me I can be "had." However, if I could really have my "druthers" I would have this one! The picture was posted in my photography group by Steve Brown. It's a keeper. I don't think that anyone would ever do an ad for this car. Maybe a little too retro with the Fonz and Happy Days. It's interesting how Star Trek survived and prospered - the magic of other worlds. 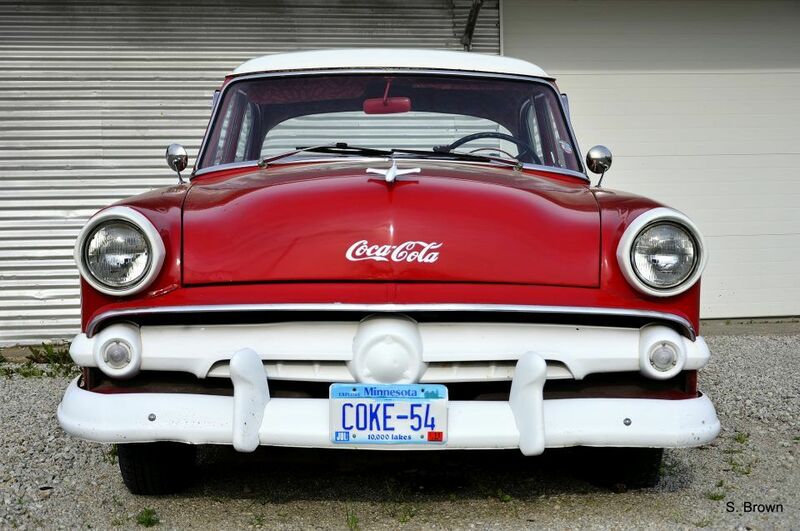 Love the red car with the Coca Cola logo. I also loved Happy Days - one of my favourite shows when I was a kid along with Lavern and Shirley. 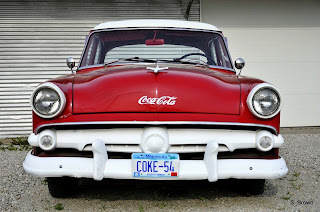 I, too, love the Coke and Audi ad- but to ruin that gorgeous chrome bumper by painting it white... I'm calling the car crime police!!!! I wonder what the shortened version for a TV ad would look like. The ending of the video where Leonard does his Vulcan grip is so funny! What an awesome ad, Carol! I love it that the old guy trumps the new guy, after all. Thanks so much for sharing this!! It'll have me smiling all day long. Love the "technically we're not inside yet" line! Cool ad but wondering where a 2.5 minute ad actually plays? I love ads, too. I make my sister be quiet during them when I see one for the first time. The more clever the better. I always wished I had that kind of imagination. I was so happy to see Nimoy do the Vulcan grip - so funny! Especially since the young one was so cocky with his Audi technology and all. Thanks for sharing - very fun! I enjoyed that! I've been a trekkie since I was a nipper, then Star Wars came along, and Dr Who was a constant anayway. I suspect they last because they are set in the future, plus of course there is the nostalgia of when we watched the original Star Trek way back when. It will be fascinating to see the next Star Wars films, directed by the same man as these news Trek films!